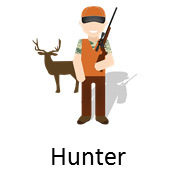 (11% of the market) As the name implies, the Hunter owns firearms for the purpose of hunting. One of the older and most rural segments, the Hunter is not concerned about concealability, but seeks quality while remaining price sensitive. 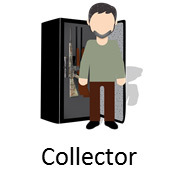 (8% of the market) Not necessarily looking for rare or antique firearms, this mostly-male Collector segment wants to possess different types of firearms. Slightly older and wealthier than the other segments, they hunt and shoot, but are not avid participants. Price and versatility are not a concern. 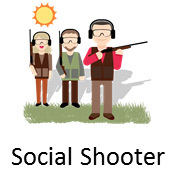 (8% of the market) Diverse in its rural versus suburban spread, the Social Shooter is interested in firearms as a way to spend time with friends. Price is a concern, and versatility is desired in a firearm. After the Hunter segment, this group is more likely to purchase a long gun than other segment. 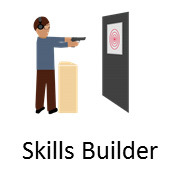 (12% of the market) Suburban with modest incomes, the Skills Builder is not outdoorsy and is the youngest of all segments. 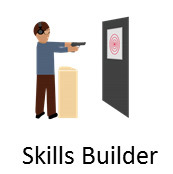 With higher rates of female and minority participation, this segment does not own many firearms but wants to be proficient with the firearms they own. Concealability and low weight reflect their interest in personal protection. 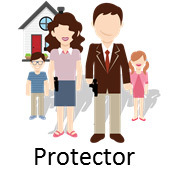 (26% of the market) The largest segment, the Protector is typically a family-oriented professional with slightly above average income. They do not describe themselves as outdoorsy, but strongly define themselves as protective of their families and home and know what they want in a firearm when they visit the retailer. 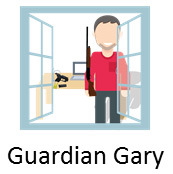 (15% of the market) Guardian Gary is another distinctly different protection-oriented segment. This all-male segment is a slightly older buyer who is more likely to define himself as tech savvy, analytical and old-fashioned. He is not a hunter but enjoys the outdoors. Personal protection away-from-home is a lesser concern than keeping the home front safe. Not interested in recreational shooting. 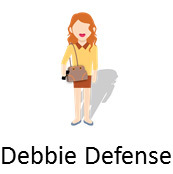 (15% of the market) An all-female segment, Debbie Defense is interested in personal protection, at- and awayfrom-home. Young and more ethnically diverse, she enjoys the outdoors. Debbie Defense wants concealability and light weight in a firearm, but is not set on specific product features or brands when she starts shopping for firearms. Recreational shooting is of little interest. 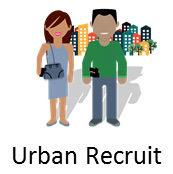 FREE – Download here – 2-page summary that describes the consumer segments in additional detals.